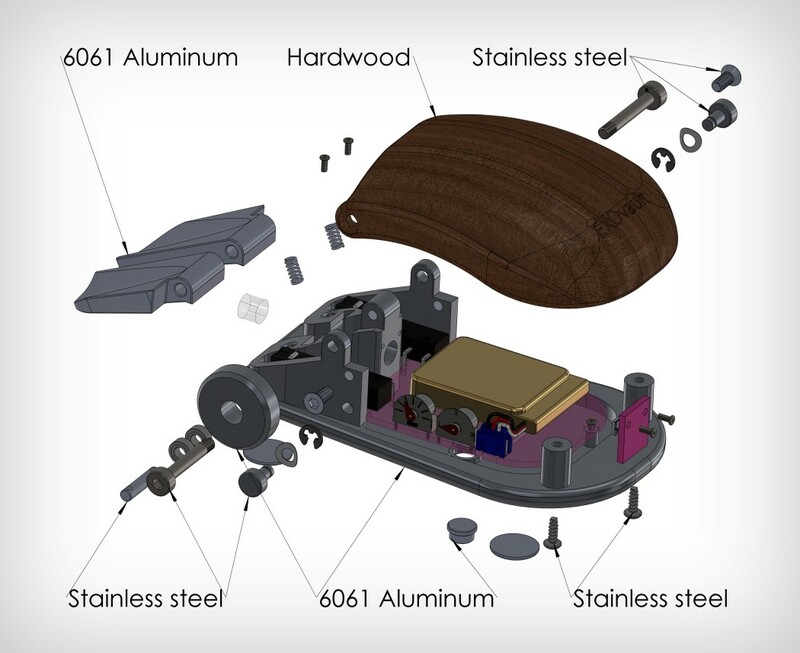 There’s something about the EXOvault Mouse that just commands your attention, unconventional and simply alluring, the mouse comes with a steampunk aesthetic, featuring a hardwood body and metal buttons, deviating completely from plastics. 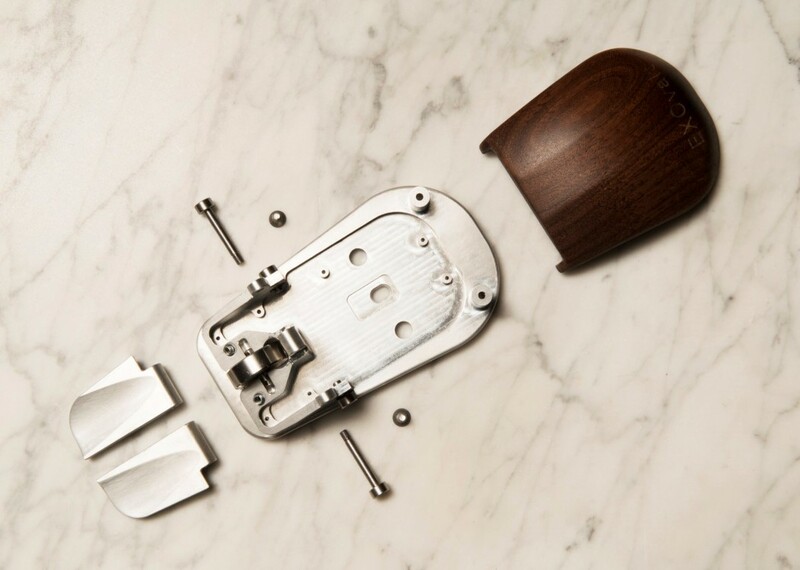 The metal clickers come with a hinge detail that allows the metal flippers to bend upwards and downwards (an interaction that seems much more pleasing that simple, flexible plastic), and the scroll is made out off metal too. 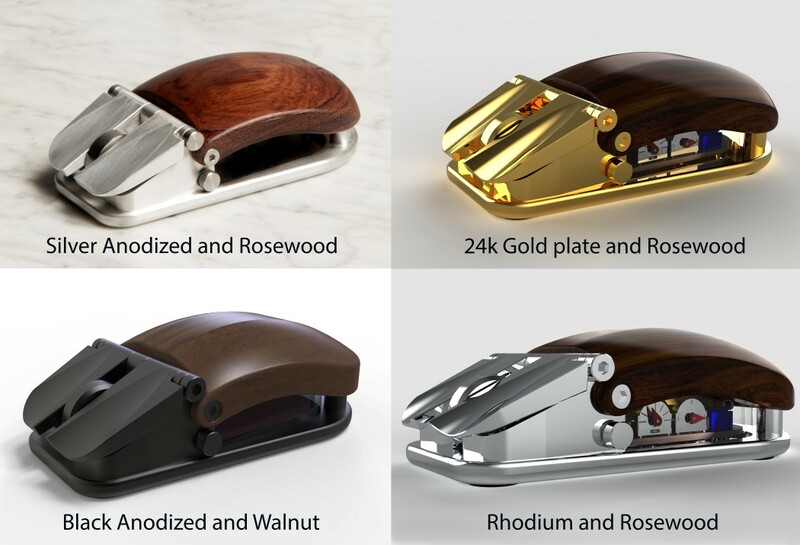 Made originally out of Rosewood and Aluminum, the EXOvault Mouse comes in different variants that experiment with anodized coloring on the metal parts, and even experimentation with Walnut wood that gives it a darker appearance. 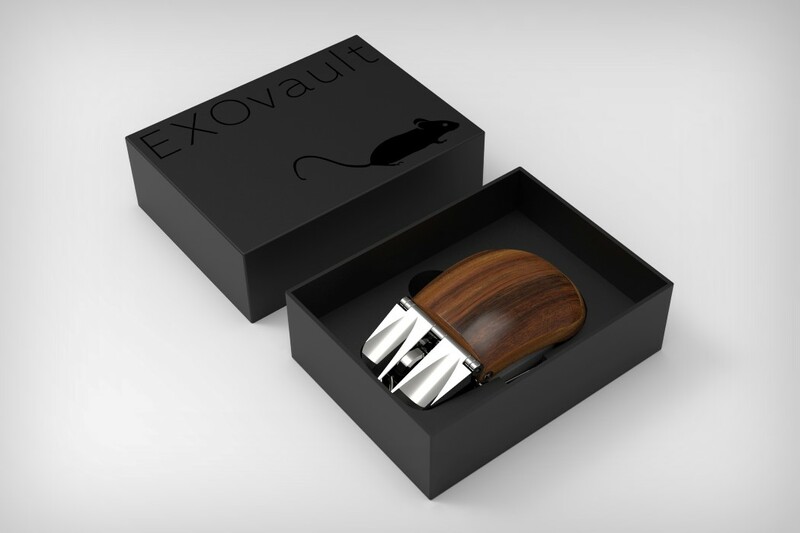 The EXOvault Mouse was developed by artist, engineer, designer, and overall maker Jonathan Schipper. 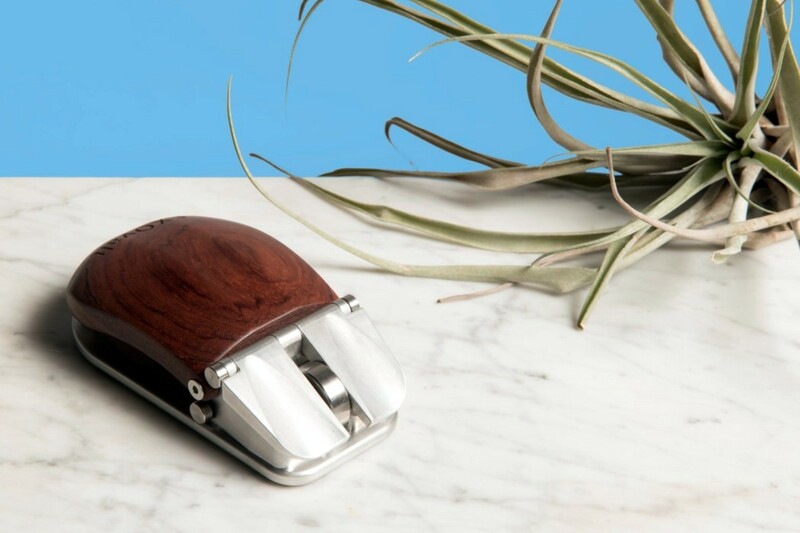 Designed as an exercise to visually reinvent something mundane, something we take for granted, the mouse was developed at EXOvault’s facility in Brooklyn, the mouse doesn’t just look great, but feels great too. 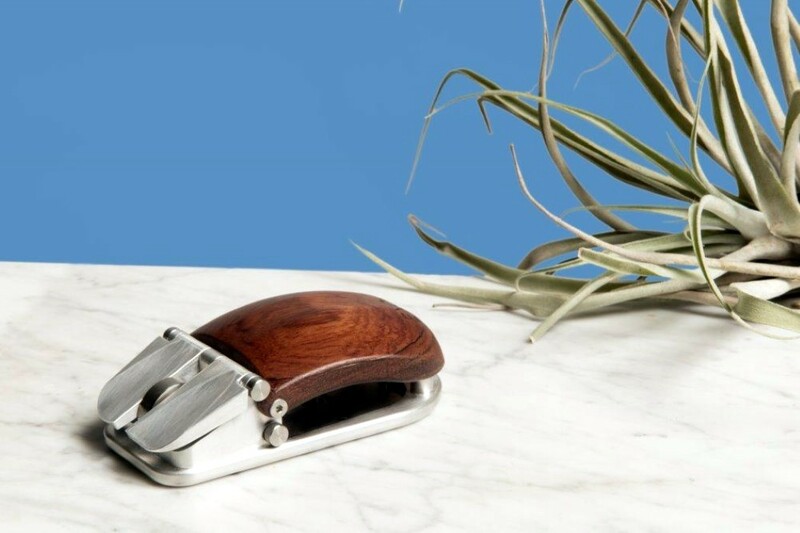 It has weight, which allows you to command the cursor with confidence, while the clickers and scroll wheels provide a wonderfully smooth tactile feedback. 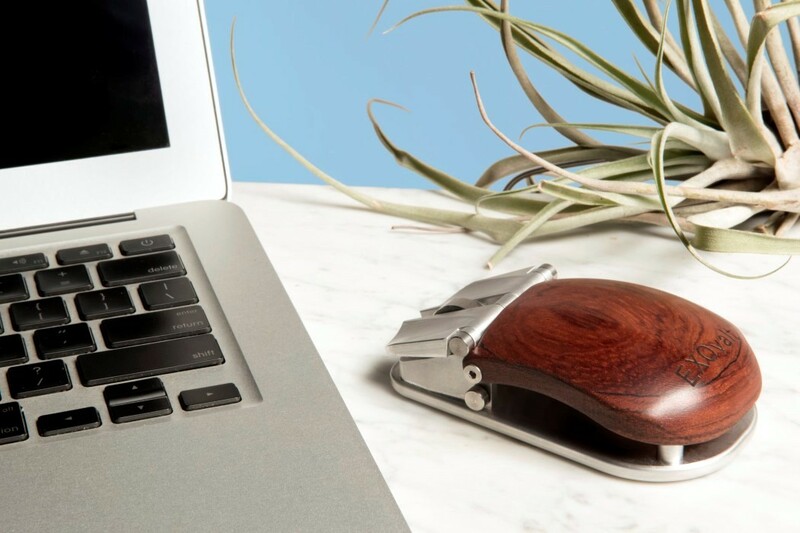 With a PixArt 3000cpi sensor that works on glass and a 500mAh battery, the EXOvault mouse performs well too, giving you superior functionality and aesthetic unconventionality in a singular package that guarantees to make you instantly want to ditch your plastic mouse or trackpad! 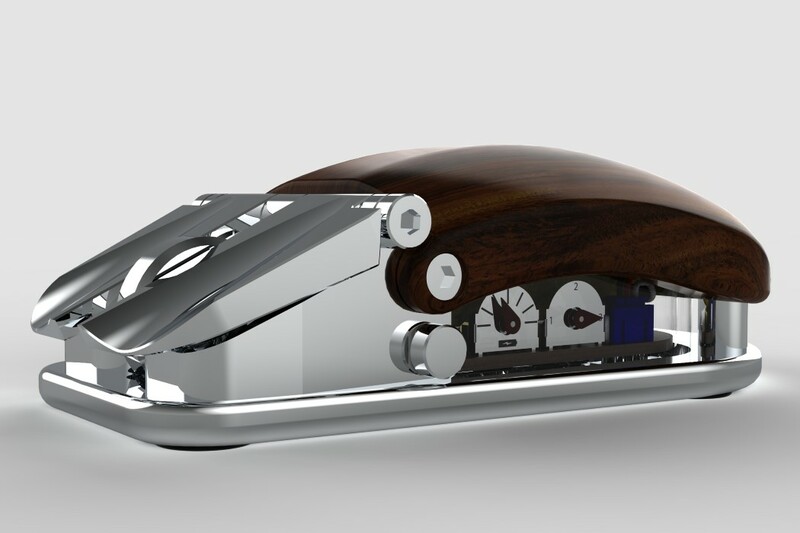 Designers: Jonathan Schipper & EXOvault.